The hand that smoothes, the wax models, the fire for melting, the pouring of the incandescent metal and the welding of the sculpture: the art of bronze is a fusion of materials, times, spaces and skilful gestures. 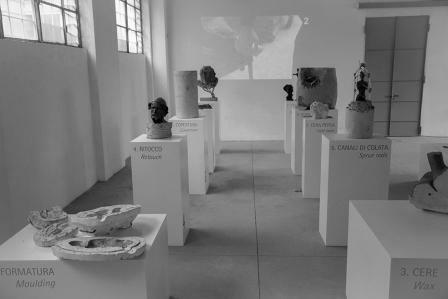 This tour takes visitors inside the Museum of “Cera Persa” in the artistic foundry Fonderie Battaglia, where they will breathe the old knowledge of a primordial yet refined art that in the last century was still attracting artists of the caliber of Marino Marini, Giacomo Manzù, Lucio Fontana, Giuseppe Penone and Arnaldo Pomodoro. With their works, these artists redefined the image and character of various cities. We will continue our visit through Milan streets, admiring monuments by Giannino Castiglioni and Arnaldo Pomodoro produced here in the foundry and discovering how the centuries-old knowhow of bronze becomes a language for new visions in the future.